All APHA-affiliated associations or clubs are invited to sponsor a team to represent them in the Youth Team Tournament, taking place during the 2019 APHA Youth World Championship Show in Fort Worth, Texas, June 24–July 7. Teams consisting of between two and 20 youth members may be selected by any means appropriate to the club or region they represent. All team members must be 18 years of age or younger as of January 1, 2019. Contestants must have a current AjPHA membership and must be active members of the club they are representing. Youth can only compete on one team. The Youth Team Tournament is the ultimate all-around challenge, comprised of three team-oriented events: performance-event classes, a knowledge relay and Jeopardy-style competition. Performance Classes: Designated team members participate in five classes: Showmanship, Hunt-Seat Equitation, Western Horsemanship, Barrel Racing and Walk-Trot Pleasure. Up to two contestants per team may compete in any one class, and top-placing contestants earn points for their team’s overall ranking. Knowledge Relay: Participants navigate through an obstacle course while performing a variety of horse-related activities. Each team consists of up to five members, and participation from each age group—including even the youngest Walk-Trot exhibitors—is encouraged in this fun event that emphasizes the importance of teamwork. Jeopardy/Hippology Competition: This portion of the contest puts team members’ horsey know-how to the test. Up to eight members per team compete together in a hands-on horse knowledge test. Questions range from general equine trivia to AjPHA rules and everything in between. Test scores are added to the team points. 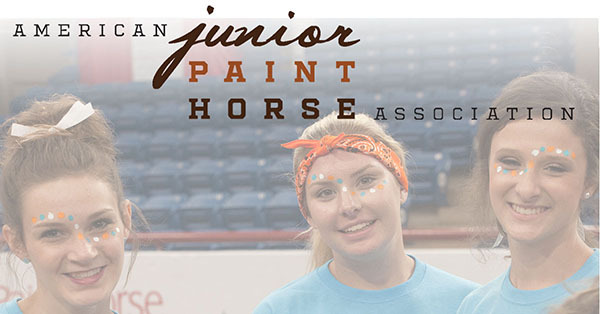 Entries for the Youth Team Tournament at the APHA Youth World Show are due on May 15. It is $150 per team to enter. A team is comprised of a maximum of 20 youth. Questions? Contact Christine Henry Gillett, Director of Youth Activities, at CGillett@apha.com or 817-222-6436.